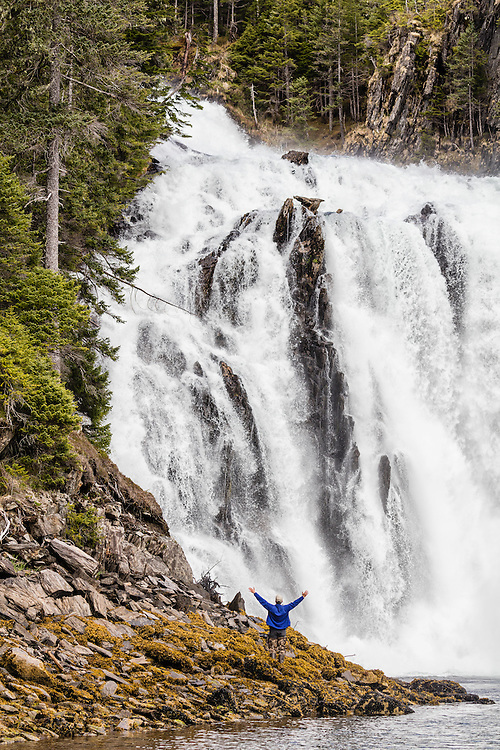 Man standing next to large waterfall in Prince William Sound in Southcentral Alaska. Spring. Afternoon.